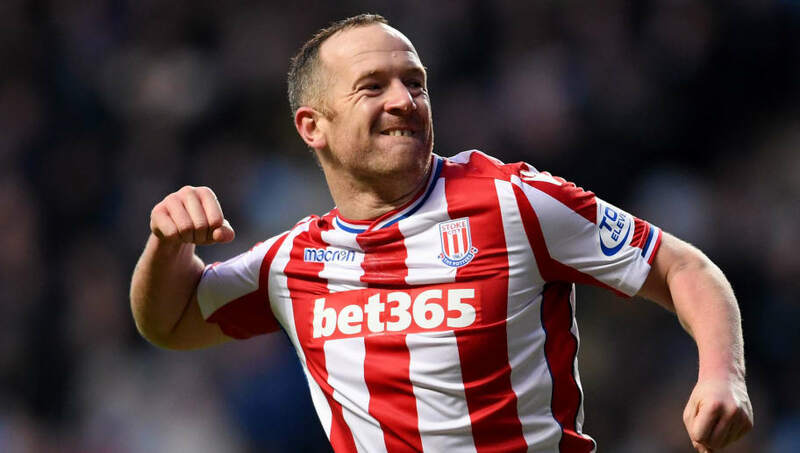 ​Stoke City midfielder Charlie Adam is reportedly interested in pursuing a player/coaching role at his Scottish hometown club Dundee. Dundee sit at the bottom of the Scottish Premiership, winning just one of their eight matches and losing the other seven. They sacked manager Neil McCann on Monday and are looking for potential replacements, with Adam a potential suitor according to the ​Stoke Sentinel. Following the announcement of McCann's dismissal, Adam tweeted his frustration at the decision to let him go. Former Ross County manager Jim McIntyre, who previously played for city rivals Dundee United, has been lined up as the ideal candidate for the Dens, but Dundee's regional paper ​The Courier believe that Adam is considering the possibility of joining a new-look management team at Dens Park. Adam is a lifelong Dundee fan and his affection for his hometown team is no secret. He has twice played for them in testimonials and refused to rule out the possibility of rejoining them. "That’s me done it twice," he previously said. "You never know what will happen in the future." The Scot is heading towards the latter stages of his playing career. He's made 167 appearances for ​Stoke City, but hasn't featured very often for the Potters this season under manager Gary Rowett, with the majority of his game time coming for Stoke's Under-23s. His only contribution in the ​Champi​onship this season has been an eight-minute cameo, and with possibility of a new player/coaching role in his home-town, it would make sense if the 32-year-old decides to seek his options elsewhere.